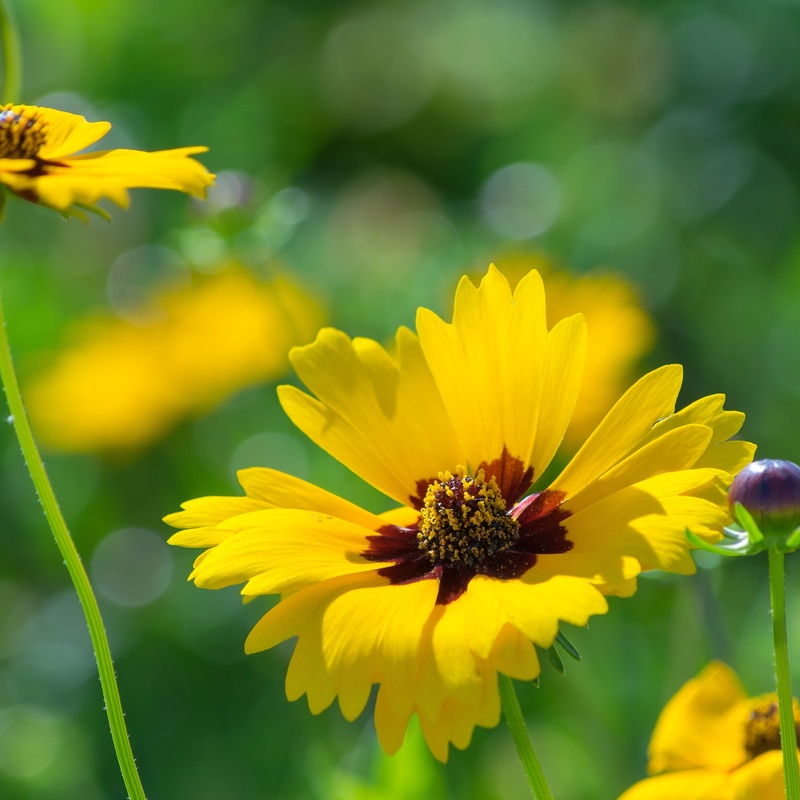 The Goldenmane (Coreopsis balalis) has a flower head that is tubular, with disk flowers in its center and ray flowers that are brownish red around the center. 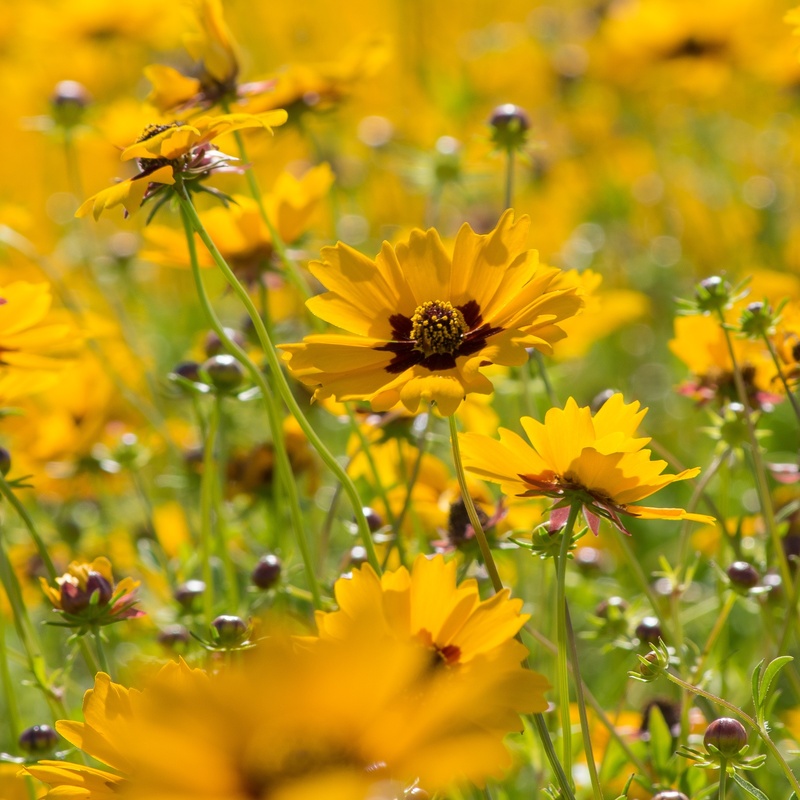 The Goldenmane Tickseed (Coreopsis balalis) is a bushy annual that grows well in sandy soils in full sun areas. 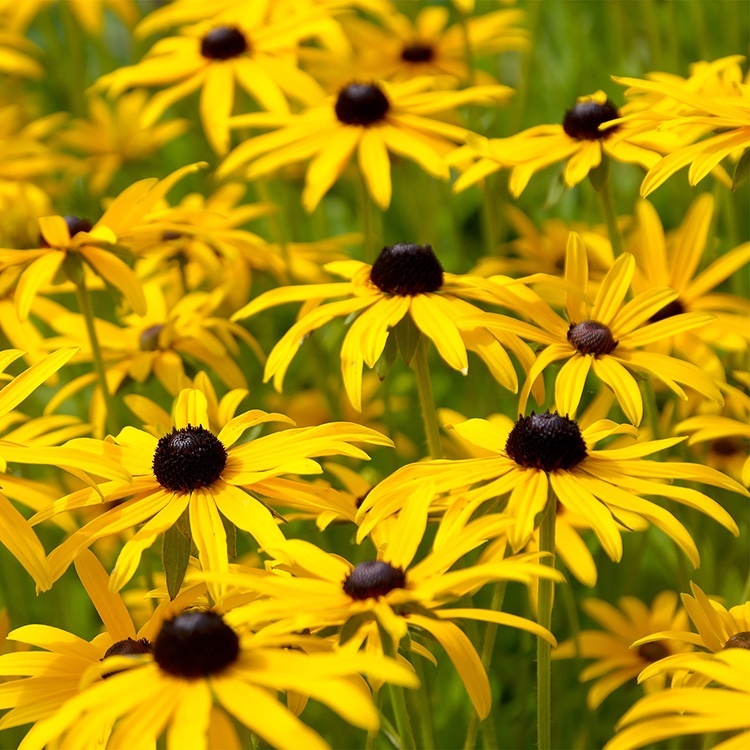 The flower head is tubular disk flowers in center and ray flowers that are brownish red around the center. 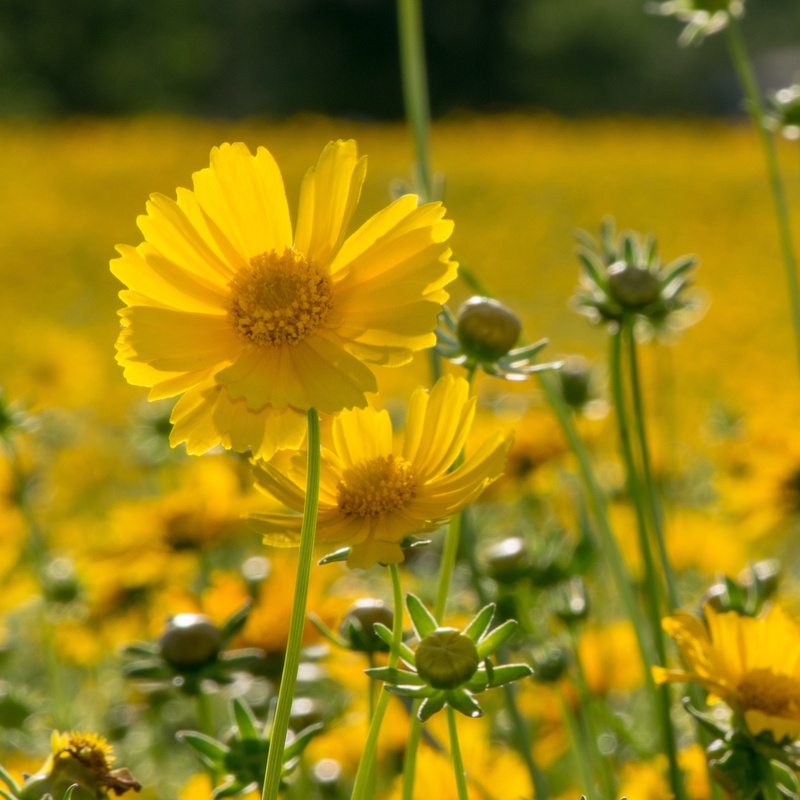 This coreopsis has a unique yellow color with an orange hue. 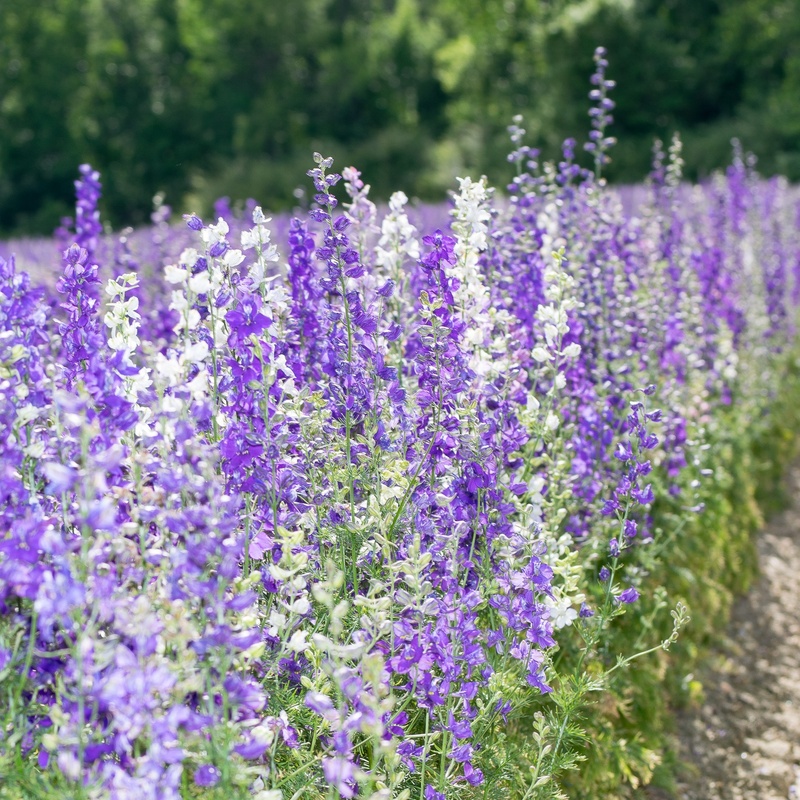 Very striking in full bloom and like upland sandy soils. Very good plant for pine plantations around field borders and thinned strands. 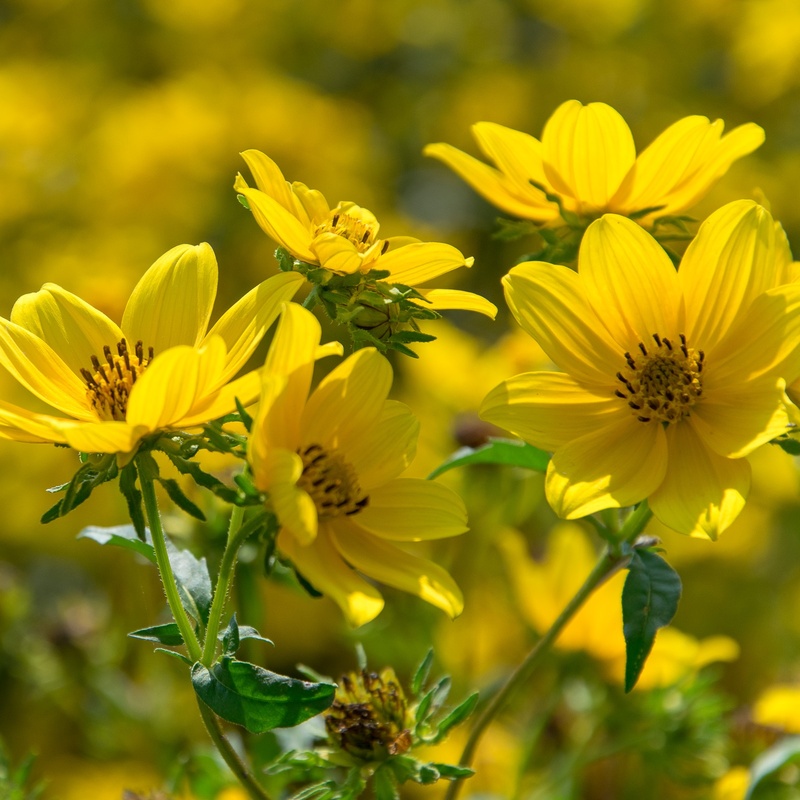 Colonies will begin to spread over time to create masses of yellow color in low maintenance environments.